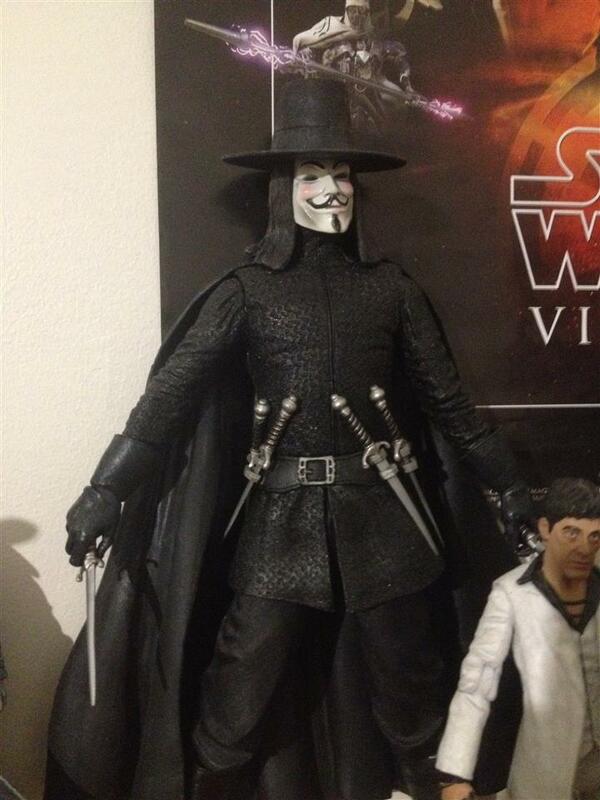 NECA 12 Inch V Vendetta collected in Figure Collection by Tayler Rowe - Collected It! These big guys are always on sale over at http://necaonline.com/ and if you ever see them selling for over $30 DO NOT BUY. They are extremely common and the price is way too easy to pass up. The figure itself has little to none articulation and the knife accessories are extremely delicate and very easily broken so HANDLE WITH CARE when putting the knives in his hands. I found out the hard way that the catchphrases this figure says are very annoying and go forever. But lets not be too negative with the guys at NECA, they always tend to have a few bad eggs every year, but trust me if you look past all the boringness on this figure, he will look great situated at the back of your smaller figures.